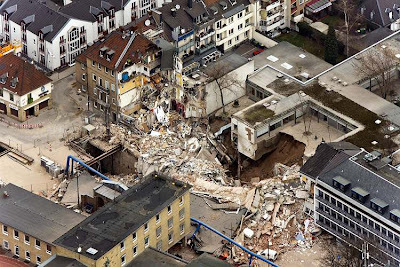 This is what is left of a very relevant archive that collapsed in Cologne Germany. When the collection of this archive would have been digitised at that time, it would still be a disaster but it would not be the disaster that it is. One of the fringe benefits of the digitisation of an important resource like an archive, a museum is that it mitigates the effects of a disaster. Disasters, wars do happen.